As declining health nudges many seniors toward a move to assisted living communities, access to the arts, including orchestral performances, is important for residents who have always enjoyed going to the symphony. Faced with decreased mobility, some seniors simply forfeit their season tickets and visits to their local symphony orchestras. However, American House Senior Living Communities is working to ensure its residents don’t have to abandon their love of experiencing live, classical music once they’ve moved in. With more than 5,000 residents living in nearly 50 communities throughout the Midwest and Florida, American House has partnered with local, community-supported orchestras to provide specialized programming. Residents living in West Michigan enjoy exclusive performances, thanks to a partnership with the Grand Rapids Symphony that began in 2015. The Grand Rapids partnership, now in its second season, has expanded to include a small-ensemble performance with a musician meet-and-greet for the residents and an afterglow event, hosted by one of American House’s six West Michigan communities. 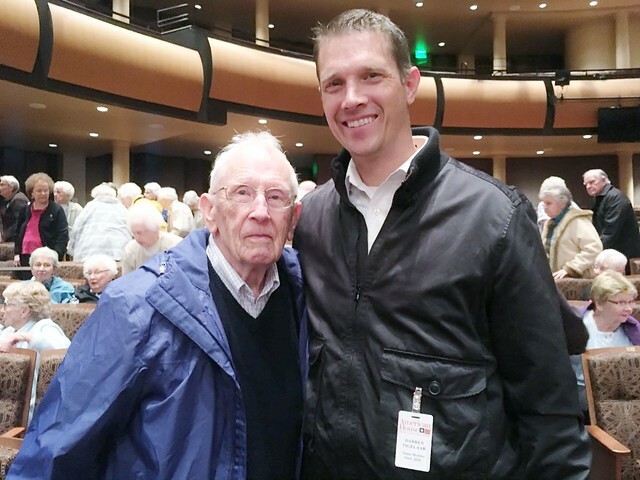 In addition, the Grand Rapids Symphony held an annual concert, exclusively for American House residents, family members, and staff at nearby Jenison Center for the Arts on Tuesday, May 2. Separately, Grand Rapids Symphony held three other Access to Music concerts on Wednesday, May 3 at the Salvation Army's Kroc Center, sponsored by Amway Corp., Molina Healthcare and Mary Free Bed Fund of the Mary Free Bed Rehabilitation Hospital. For American House, more than 250 residents from six communities boarded American House buses for the highly-anticipated event. Grand Rapids Symphony, under the direction of Associate Conductor John Varineau, performed patriotic pieces in addition to classical favorites such as Johann Strauss II’s Morgenblätter Waltz. The concert, which is the only live orchestral performance many residents will enjoy this year, wrapped with cheers from the crowd. As scores of residents filed out of the auditorium, their conversations were full of praise for the afternoon performance.